The health and longevity of a person depends on eating right from early childhood. Therefore, parents should realize the importance of nutrition for kids. In fact, they need to provide healthy meals for kids so that their offspring get the right quantities of nutrients and calories. It will enable their bodies to function at optimum levels. There are many factors that help parents to decide on what healthy foods for kids to choose from: gender, age, and their activity levels. This means that children who are highly active need more calories as compared to those who are less active. While boys need more calories than girls, older kids need them more than the younger ones. To this end, parents should inculcate healthy eating habits in their young toddlers. These days, families have busy schedules, making it hard for all to have homemade meals day after day. The diet of most children are often in the form of takeout and convenience food. However, such foods tend to be quite unwholesome, creating a harmful effect on their health. Many of these effects are caused by unhealthy eating that can extend to their adulthood too and might even result in lifelong ailments. Check conditions of mental health such as anxiety, ADHD, depression etc. Besides, by preparing foods according to healthy recipes for kids, they form wholesome eating habits that tend to remain with them all through their lives. Providing healthy meals for kids as well as emphasizing nutrition remain a few of the most important and simplest means to avert the onset of potential diseases. 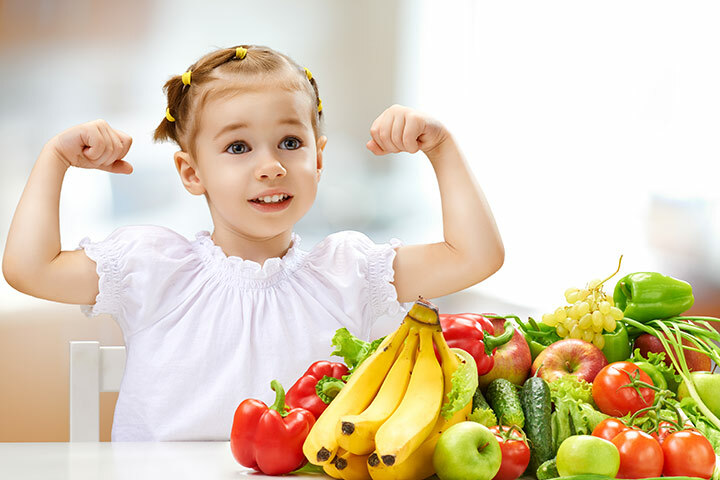 Healthy foods for kids can also lessen the chances of chronic diseases, such as heart disease, obesity, type II diabetes and high blood pressure. In fact, nearly 50 percent of Americans suffer from one or the other of such illnesses. Make healthy food for kids by giving them a balanced diet that includes meat, veggies, fruits, dairy products etc. You can seek the assistance of your kids while purchasing groceries and selecting foods to eat. Parents should also teach them how to read food labels. In such a way, they will get an idea regarding the nutritious content in a food item they are selecting. The above-mentioned child nutrition guidelines help you provide the best nutrition for kids. So they can be healthy and active in their forming years.